A year can feel like a long time in the world of social media. 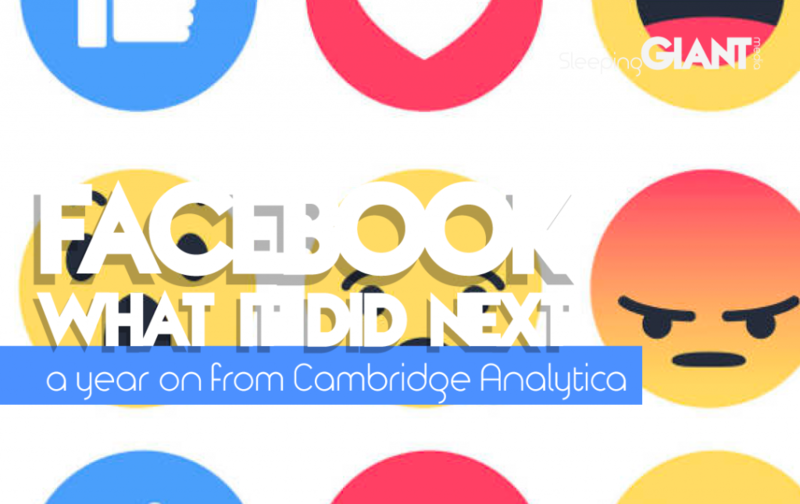 One year on from the Cambridge Analytica scandal – where Facebook was involved in the harvesting of private information of over 80 million users without their consent – Facebook CEO Mark Zuckerberg has urged the world’s governments to help with data concerns. In an op-ed in The Washington Post, Zuckerberg proposed four key areas for governments to get tough on; protecting the public from harmful content, ensuring the integrity of elections, guaranteeing users can move their data between services, and underwriting users’ privacy. He recommended a more standardised approach to policing content, hoped more countries would adopt laws such as Europe’s General Data Protection Regulation (GDPR) and said he was ready to discuss new regulations with lawmakers around the world. Company growth has included the purchase of Instagram in 2012 and WhatsApp in 2014. Talk of Facebook integrating the three platforms has recently surfaced, with plans for all three to be able to communicate with each other seamlessly, meaning you would see WhatsApp stories on Facebook and Instagram users could message others on WhatsApp directly. On March 6, Zuckerberg announced plans to improve privacy by giving the Facebook and Instagram apps end-to-end encryption – a system of communication where only the communicating users can read the messages – currently a default feature on WhatsApp. To protect the public from harmful content, Facebook said it would consider changing its rules to limit who has access to live video streaming, following many high-profile misuses of the feature. It looks like it will take a lot more than mere proposals to make people and governments trust Facebook, but the fact that privacy issues are increasingly being talked about and acted upon can only be a good thing for the user.